Online home of "The Doctor Todd (Austin) Show"
Hey Dr. Todd, How do you incorporate the Biomat into your Chiropractic Practice? 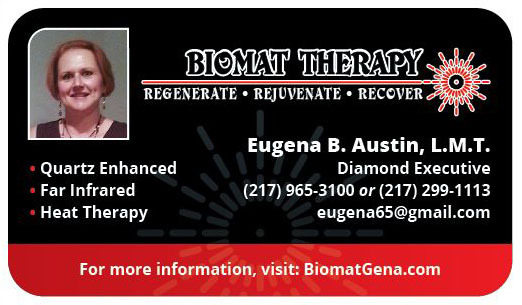 In the inaugural *public Episode of “The Biomat Show”, Dr. Todd Austin, clinical director of The Effective & Affordable Cold Laser Clinic at Austin Family Chiropractic in Virden, IL is interviewed by fellow central IL Biomat enthusiast Martha Ruppert. 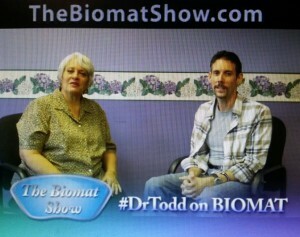 Martha Ruppert & Dr. Todd Austin in Episode 1 of #TheBiomatShow. Dr. Todd is also the business manager for his wife Eugena Austin’s Diamond Executive #TheBiomatCompany Distributorship. 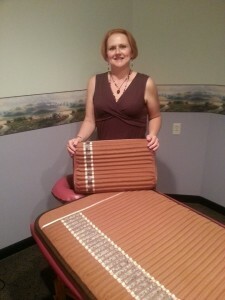 Eugena is a Licensed Massage Therapist. Both Todd and Eugena have implemented Biomat into their practices very successfully since late 3/2014 and have exposed well over 150 people to the technology in just 5 short months, having sold over 30 Biomats in the process. *There are also ‘unlisted’ episodes of “The Biomat Show” as well. They are for customers of Austin Family Chiropractic, customers of #BiomatGena and distributors of http://BiomatGena.com & for Cold Laser Consulting clients of Dr. Todd.